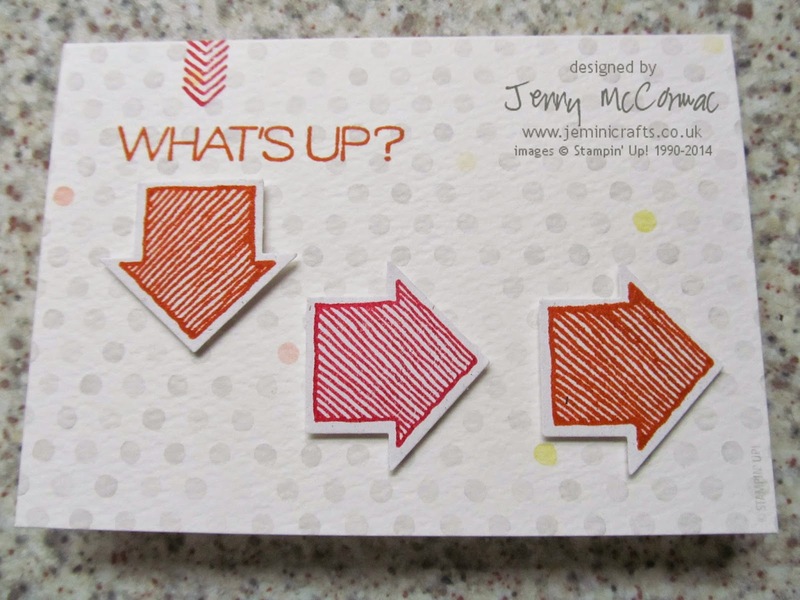 Jemini Crafts: Fun Birthday Card using What's Up! Fun Birthday Card using What's Up! There are quite a few July birthdays in our family, including my nephew (and godson) John, plus his son Cayleb. 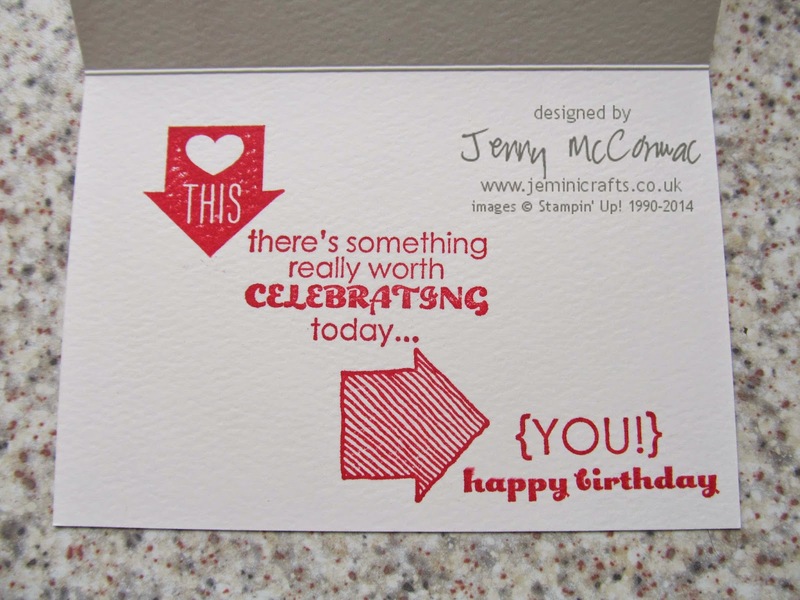 Here is the card I designed for John using the What's Up! stamp set, which has a matching fun arrow punch. The arrows I placed using dimentionsals to give them some depth and the message and stamps inside are stamped straight onto the inner card. The sentiments 'There's something worth celebrating today.... You!' are from Remembering Your Birthday - a fun set of Birthday messages.